Is the forums a ghost town now? I decided to check out the forums after quitting LS years ago and the forum activity is surprisingly low. I was ~Chibi~ on OGP if anyone even remembers that. I might want to have you in my collection. Last edited by NotSquirel; 05-11-18, 07:41 AM. theres like 40 people who play the game and only 5 of them actually use the forums. maplestory 2 is also not helping the whole situation. i'm like 99% certain it'll be the death of NALS. They also had a short-lived moderator recruiting event to help improve/keep the game healthy. I applied and I'm willing to help the game reach peak popularity, but I guess z8games's intention is to fail. Z8LS will close next year if these failures continue. Last edited by NotSquirel; 06-11-18, 02:17 AM. is that for cf too ! I think the reason for forum inactivity is that there just isn't anything worthwhile to talk about. Everything has already been discussed and anything that has not is probably just not interesting enough. There used to be a thread for every NALS update, but for the past year now every update has not had much variety. There used to be a thread for every KLS update, but the person(s) that posted those in good detail have stopped. 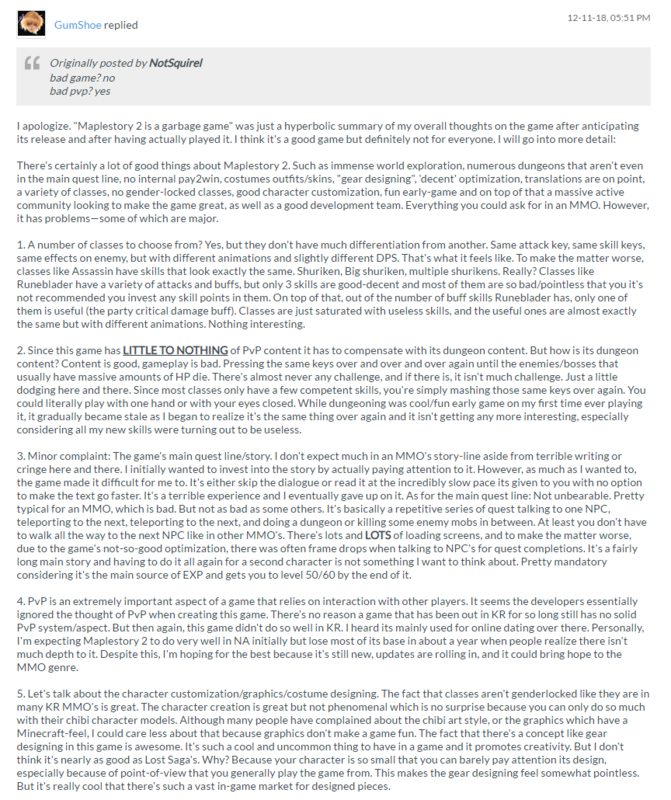 Threads in general discussion nowadays seem to be about player dissatisfaction. Other threads just derail from constructive discussion to petty argument. Maybe having a 'Guides' section where people could share their experience and expertise would spice things up around here. Whole game is a ghost town. I've logged in several times only to be met with 1 page of rooms and half of the rooms on that 1 page were AFK or locked. Lost Saga is kill and there aren't many alternatives. The forums became a ghosttown long before the game did and it isn't just a spooky Halloween theme. 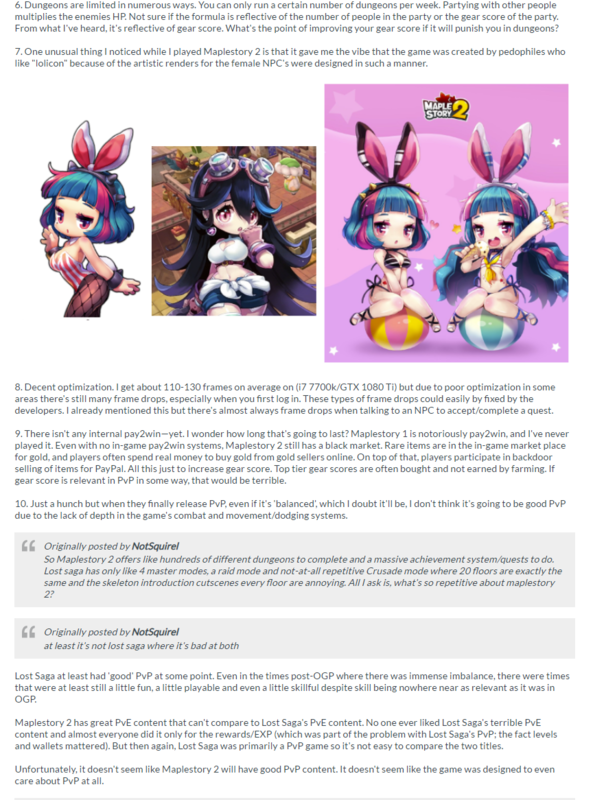 Meanwhile, popular Maplestory 2 is a garbage game but has good devs and a lot of people supporting it. IMO Smash Bros. Ult is a great alternative to LS. Only MMO-type game I'm looking forward to is KurtzPel if the PvP turns out to be good. Last edited by NotSquirel; 11-11-18, 01:29 PM. What game you playing now? MS2 was ok at first but its repetitive as hell. And im not enough of a weeb for the fashion stuff to keep me occupied. So Maplestory 2 offers like hundreds of different dungeons to complete and a massive achievement system/quests to do. Lost saga has only like 4 master modes, a raid mode and not-at-all repetitive Crusade mode where 20 floors are exactly the same and the skeleton introduction cutscenes every floor are annoying.All I ask is, what's so repetitive about maplestory 2? Also fashion on ms2 is on the same level as ls imo. Only because ms2 doesn't offer gear designing for every costume. I haven't played much of anything this past year. I did marathon-complete Dark Souls III a few months ago since it was sitting in my game library and I hadn't played it since the third boss. Aside from that, I recently began playing Fortnite since I initially couldn't/didn't want to get into it seasons 1-4. I started late season 5, took a month long break season 6, and started playing again this past week. Last edited by GumShoe; 12-11-18, 03:37 PM.